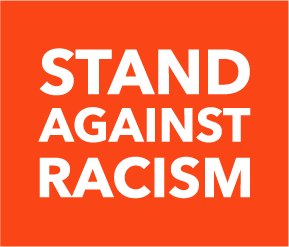 YWCA’s annual Stand Against Racism will be held April 26, 2018 from 10:00 a.m. to 3:00 p.m. at Founder’s Hall (located in Davidson Hall) at Central Connecticut State University. 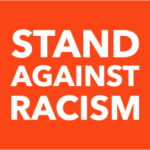 YWCA calls all individuals to join us in taking a Stand Against Racism to unite our community in a bold demonstration that delivers a clear message: we are on a mission to eliminate racism. YWCA New Britain and CCSU have planned presentations throughout the day to highlight issues and barriers important to our communities of color that must be addressed. Dr. Mindy Thompson Fullilove, professor of clinical psychiatry and public health at Columbia University, will be the keynote speaker for the event. Dr. Fullilove has focused her research on health problems caused by inequity and has published several books on the topic. Her presentation will address the intersection between trauma, health disparities, and urban development. The event will also feature an oral history project about 20th century urban renewal in New Britain with Dr. Sylvia Jalil Gutierrez , a professor of anthropology at CCSU. She will discuss segregation and displacement in New Britain as a result of government policies like redlining, urban renewal, and highway construction. The day will wrap up with a CCSU student panel about millennial perspectives on urban renewal. “This signature event was developed to build community among those who work for racial justice and to raise awareness about the negative impact of institutional and structural racism in our communities. The YWCA is pleased to be a leader in this work,” said YWCA’s Associate Director, Tracey Madden-Hennessey. The Stand Against Racism is a free event and is open to the public, however space is limited and registration is encouraged. A full schedule of the day and detailed speaker information is available on our Eventbrite page. Thank you to The Community Foundation of Greater New Britain for sponsoring this event.